We may modify any of these terms and conditions at any time by publishing the modified terms and conditions on the Website. Any modifications shall take effect [3 (three) days] after posting on the Website. By accessing this Website and using its services you agree to these terms and conditions at the time of use, regardless of whether you chose to register with us, therefore you should check these terms each time you access the Website and make a purchase. In these terms and conditions, "we" and "us" means VTech Electronics Europe Plc (registered company number: 02178243). The address from which we provide these online services is [Napier Court, Abingdon Science Park, Abingdon, Oxfordshire, OX14 3YT]. Our VAT identification number is: GB479277587. 2.2 The description of the goods, price, currency and delivery costs are set out in the 'confirm order' page. 3.1 Orders shall be accepted at our sole discretion and are subject to acceptance in accordance with this agreement. The 'confirm order' page sets out the final details of your order. Following this, we will send to you an order acknowledgement email detailing the goods you have ordered. Please note that the order acknowledgement email is not an order confirmation or order acceptance from us. 3.2 Acceptance of your order and the completion of the agreement between you and us will take place on despatch to you of the goods ordered unless we have notified you that we do not accept your order or you have cancelled it. 4.1 The price of the goods will be stated at the 'confirm order' stage and in the order acknowledgement e-mail. Whilst we try to ensure that the pricing of goods is accurate at all times, occasionally there may be an error. If we find a pricing error we will inform you as soon as possible and give you the option of cancelling or confirming your order. If you decide to cancel your order we will refund any money already paid by you in full. 5.1 Unless we specify otherwise, delivery dates will always be within 14 days. However, all delivery dates are given only for general guidance and we will not be held liable in any way for late delivery of goods. 5.2 Risk of loss and damage of goods passes to you on the date when the goods are delivered or on the date of first attempted delivery by us. We shall attempt to deliver the goods to the address you specify for delivery and may telephone or e-mail you regarding the delivery of your goods. Therefore, it is important that the contact details supplied to us by you are accurate. 7.1 We are continually improving our goods, so specifications or design changes may be made at any time. We shall use reasonable commercial endeavours to keep the Website up to date but information and specifications given are for your information only and are subject to change without notice. 7.2 We try to ensure that pictures of the goods on the Website are as accurate as possible, but there are technical limitations and slight variations in colour and texture between the pictures and the goods themselves must be expected. 7.3 We will endeavour to allow uninterrupted access to the Website, but access may be suspended, restricted or terminated at any time. 7.4 You may not misuse the Website (including without limitation, by hacking). 8.1 The content of the Website is directed solely at those who access the site from the United Kingdom. We make no representation or warranty that any goods referred to in the Website are available or are otherwise suitable for use outside the United Kingdom. 8.2 We may provide links to external websites on our Website. If you use these links, you leave the Website. However, we assume no responsibility for the contents or availability of any other websites and we do not endorse or make any representations about them, or any material found there, or any results that may be obtained from using them. We recommend that you check the terms and conditions and privacy policies of such external websites if you access them. 9.1 You will only own the goods once they have been successfully delivered and when we have received cleared payment for them in full. Until that time we will retain title to the goods. 9.2 Goods supplied are not for resale. We warrant that the goods shall meet their specification and shall be free from defects in materials and workmanship at the time of delivery provided that the instructions governing use of the goods have been followed. We will be happy to exchange or refund any goods with which you are not completely satisfied. Simply return the goods to us unused, within 14 working days, with the dispatch note. You will be responsible for the direct costs of returning the goods. 12.1 If you have a valid claim in respect of any of the goods which is based on any defect in the quality or condition of the goods or their failure to meet specification in accordance with this agreement, we shall be entitled to replace the goods (or the faulty part in question) free of charge or, at our sole discretion, refund to you the price of the goods (or a proportionate part of the price). 12.3 We shall not be liable to you in connection with this agreement in contract, tort (including negligence) or otherwise for any loss of profit, anticipated savings or data (in each case whether direct or indirect) or any indirect loss. 12.4 Our aggregate liability to you in connection with this agreement shall not exceed the value of the goods ordered by you. 12.5 Notwithstanding anything else in these terms and conditions, we accept unlimited liability in respect of death, personal injury or damage to property caused by our negligence. 12.6 We do not give any warranty that the Website is free from viruses or anything else that may have a harmful effect on any technology. 15.1 E-mails we send to you shall be to the address you specify to us. It is important that you give us an accurate and valid e-mail address and tell us of any changes to it. 15.2 If you are issued with a user name and password before you can order goods from us, these will be personal to you, are not transferable and must be treated as strictly confidential at all times. Any breach of security of a user name and password should be notified to us immediately. You will be responsible for any payments due for goods ordered through the Website by anyone using your user name and password. 16.1 If we fail to enforce a right under this agreement, that failure will not prevent us from enforcing other rights, or the same type of right on a later occasion. 16.2 If any provision of these terms and conditions is held to be unlawful, invalid or unenforceable, that provision shall be deemed severed and the validity and enforceability of the remaining provisions of these terms and conditions shall not be affected. Unless expressly provided in this agreement, no express term of this agreement or any term implied under it is enforceable pursuant to the Contracts (Rights of Third Parties) Act 1999 by any person who is not a party to it. 19.1 We may terminate your access to the Website and the services within it on not less than 3 days' written notice to you. 19.2 All disclaimers, indemnities and exclusions in these terms and conditions shall survive termination of this agreement between us for any reason. 20.1 The copyright in the material contained in the Website, together with the website design, text and graphics and their selection and arrangement and all software compilations, underlying source code and software (including applets) belongs to Vtech Electronics Europe Plc, its subsidiaries or the providers of such information. All rights are reserved. None of this material may be reproduced or redistributed without our written permission. 20.2 Product and company names mentioned on this Website may be the trademarks or registered trademarks of their respective owners. 22.1 This members registration draw is open to UK residents only excluding employees of VTech Electronics, their families and agents. 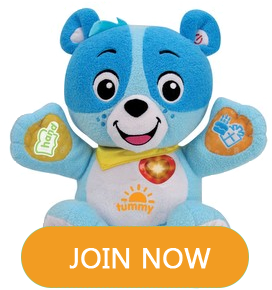 22.2 You are only allowed to register for VTech Club once. VTech Electronics reserves the right to publish prize winners name, home county and picture in future VTech Electronics publicity. 22.3 All valid VTech Club registrations must be received before the closing date of the 28th day of each month. The prize winner (£1000 worth of VTech Electronics toys, chosen by VTech) will be drawn at random once the closing date has passed. 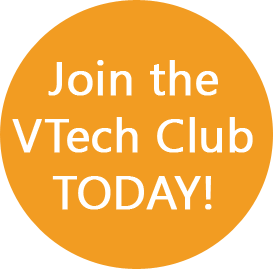 22.4 Entrants will be chosen from VTech Club registrations who opt into email communications from VTech. 22.5 VTech Electronics reserves the right to remove or amend the prize draw without notice. 22.6 No cash or other prize alternatives will be offered and prizes cannot be modified. 22.7 The winner will be notified in writing via the email address supplied within 28 days of the closing date. The winner must claim their prize within one week of the date that VTech Electronics sends notification. If the winner does not respond within one week, another winner will be randomly selected. 22.8 The result of the draw is final and no further correspondence will be entered into. 23.1 Five Product Testers will be chosen at random throughout the year when required by VTech. 23.2 From selection the chosen testers will have 3 working days to agree to being a product tester and supplying a delivery address. 23.4 Chosen Product tester must confirm delivery of product. 23.5 From confirmation of product delivery, the product tester will have 5 working days to review the product and supply all images, video content and reviews to VTech. 23.6 If a selected product tester does not submit their review within the 5 working day deadline then they will forfeit their chance to be a product tester for VTech on this occasion and must apply to be a part of the process again. 23.7 By Submitting an application to become a VTech Toys UK product tester, then you agree for this review to be uploaded to the relevant product page on https://www.vtech.co.uk/ and our Facebook and Twitter pages. 23.8 Any reviews containing profanities or anything else deemed offensive to the general public may not be displayed or will be edited accordingly.